For less formal Christmas and winter occasions, a girls' Christmas sweater can provide a seasonal and fun outfit for girls of all ages. While sweaters with Santa Claus and reindeer may be the cutest ones according to your children, you may want to consider more wintry themes for Christmas sweaters, such as snowmen, penguins, moose or other winter animals so as to increase the amount of wear that your daughter can get out of the sweater. While it's perfectly acceptable to pull out all of the Christmas decorations and clothing in November, continuing to wear Christmas clothing after New Years' has passed is generally not done. Of course, you can start new fashions with it if you so choose, but if your child doesn't want to wear that Santa sweater in February, encourage her to choose a sweater with a motif she'll be happy wearing all winter long. Christmas clothing, from sweaters to tights and socks, can be worn the entire month of December. It's easy to forget to pull out the seasonal clothing, so make it a point to get out Christmas clothing on the same day you take out the Christmas decorations. In this way, the opportunity to wear holiday clothing will not be missed. The following online resources offer several different Christmas sweaters. If you prefer going to stores, check out local department stores sometime after Halloween to find holiday apparel for the upcoming season. Alternatively, hit the department stores in the two weeks following Christmas to buy seasonal items in next year's sizes, which can result in very significant savings because the stores want to clear out the holiday inventory soon after Christmas and New Years'. Offering both boys' and girl's Christmas sweater models in multiple colors and styles, Max and Maude's has a wide selection of holiday apparel. These sweaters are high quality ones, with a price tag to match, so you may want to choose a winter theme instead of specifically Christmas so that your child gets a lot of wear out of it. Of course, if you have a big extended family, simply pass these items along to cousins so that together you get your money's worth. 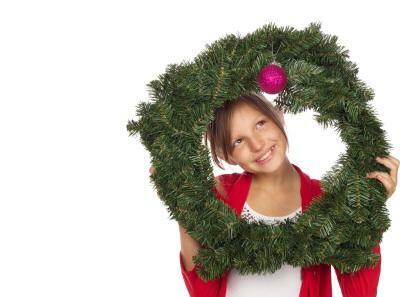 Another website offering a large selection of specialty Christmas clothing for children is Best Dressed Child. Christmas clothing for both boys and girls can be purchased, with prices in a reasonable range from $20 and up. In addition, items frequently go on sale. Christmas sweaters for both girls and boys are offered. Be sure to check out the sweaters that are designated for boys, because most of them are perfectly suited for girls as well. The girls' selection of sweaters is mostly limited to dressier cardigans with ruffles or embroidery, but many of the boys' sweaters are simply green or red with a Christmas motif on them, and perfect for girls as well. Although the selection of Christmas items is rather small, Forget Me Not Kids offers a few stunning Christmas favorites, such as the matching mother and daughter Christmas sweater with a Nordic print and a very reasonable price tag. There are very few things that can't be found on Amazon.com! Many shoppers prefer this website because of its wide selection, as well as the excellent offer on free shipping. You can do all your Christmas shopping on one website, including adorable Christmas sweaters at reasonable prices. Whether you opt for a specialty children's store or a local department store, Christmas sweaters make excellent gifts and festive clothing options. While fancy Christmas dresses are great for a Christmas party, holiday sweaters are perfect for more casual occasions, and generally get worn much more often than fancy dresses, making them a worthwhile winter clothing purchase.